On a cold, rainy fall day there is nothing better for dinner than a warm plate of chicken casserole. It has been a main staple in my kitchen for as long as I remember. From my childhood to my own children’s, it is one that has never disappointed. I like to get chicken with the bone in because it will give you a better stock once the meat has boiled. 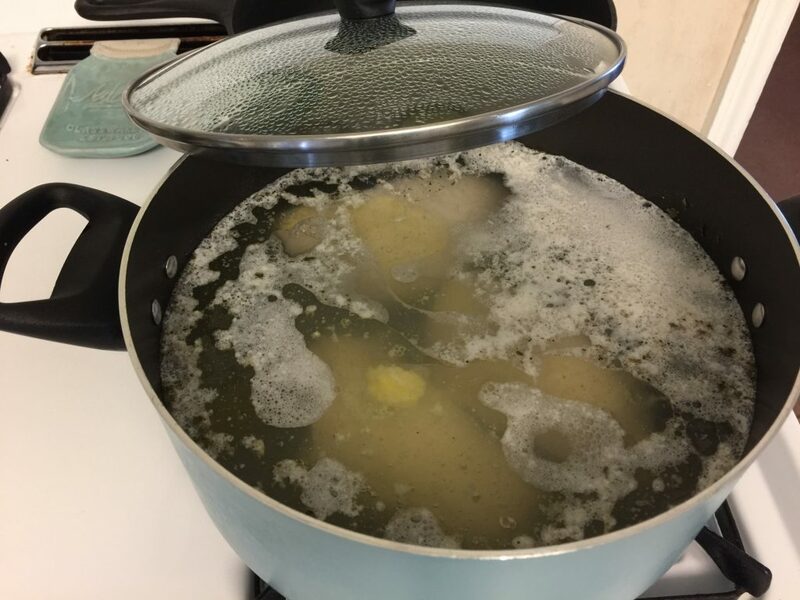 Fill up your stockpot with enough water to cover the chicken. Add a couple of tablespoons of butter and salt and pepper to your preference. You may want to add celery or other herbs in with the meat as it cooks. It is all in what you prefer. I keep it simple. Depending on how much you are cooking, allow around 30 minutes for every pound of chicken. Once the chicken has finished cooking, remove from pot and place chicken on a plate to cool. Reserve you stock for the casserole. 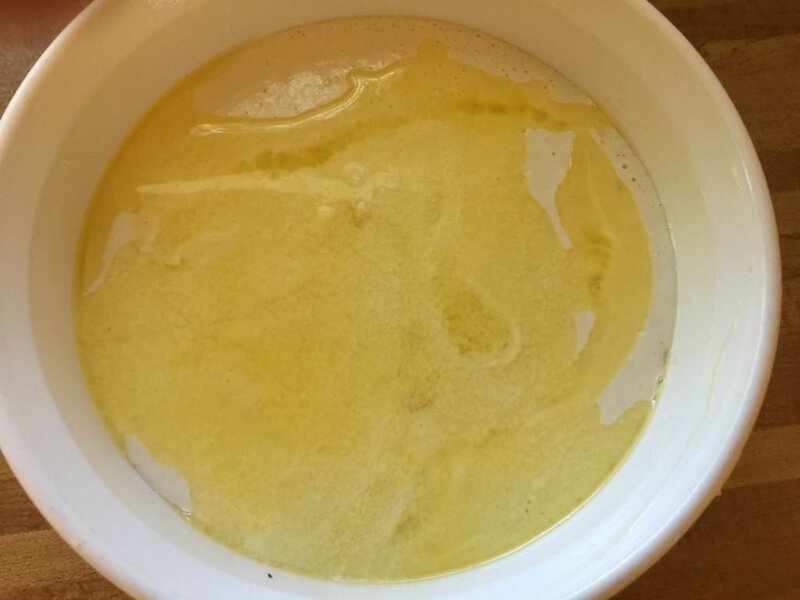 In a mixing bowl combine the soup and broth until they are blended together. 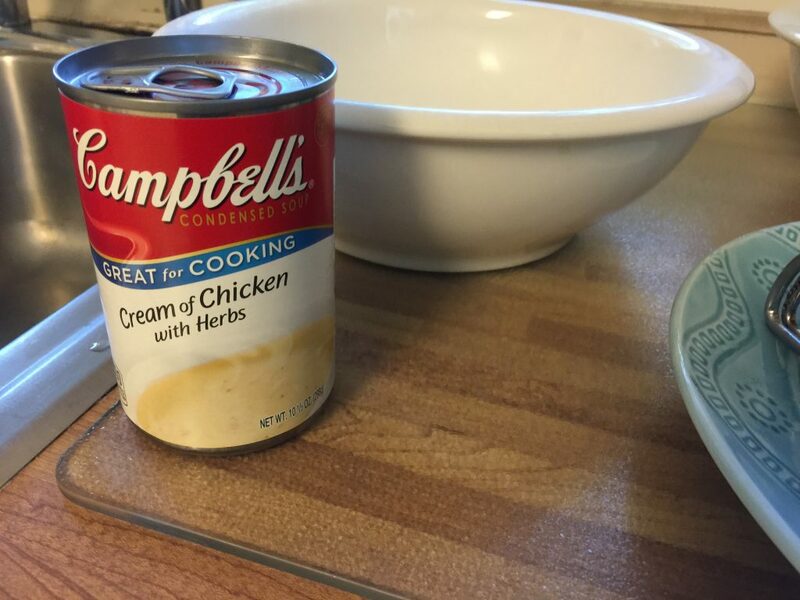 Campbell’s has this new cream of chicken with herbs mixed in. It’s not too overpowering in flavor, but gives an extra punch to the chicken. In another bowl, mix the flour and buttermilk. Melt the butter. I melt mine in the microwave and a tip is to cover bowl when you heat the butter. It will save a clean up later. Now your chicken should be cool enough to de-bone and cut. 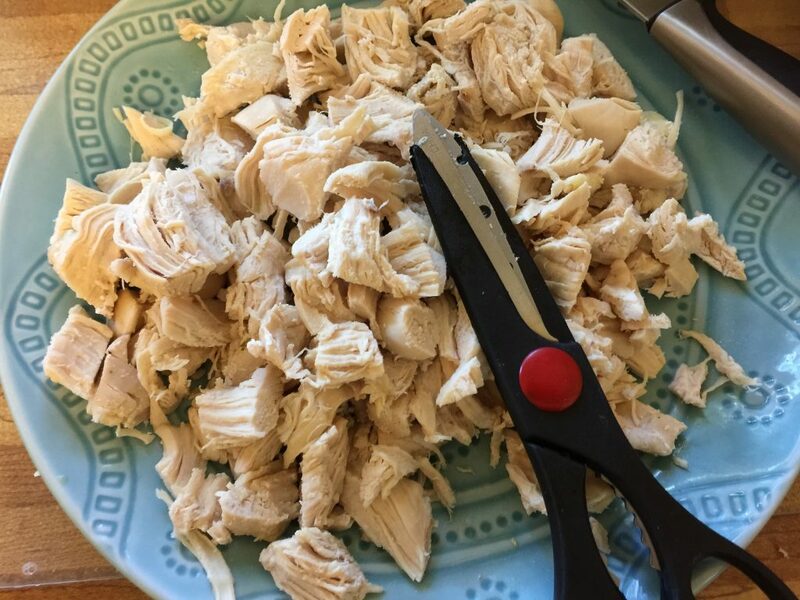 Remove the skin and bones and cut chicken in bite size pieces. Spray a 8X8 casserole dish with cooking spray and place the chicken in. Over the chicken pour the soup mixture, covering all the chicken. 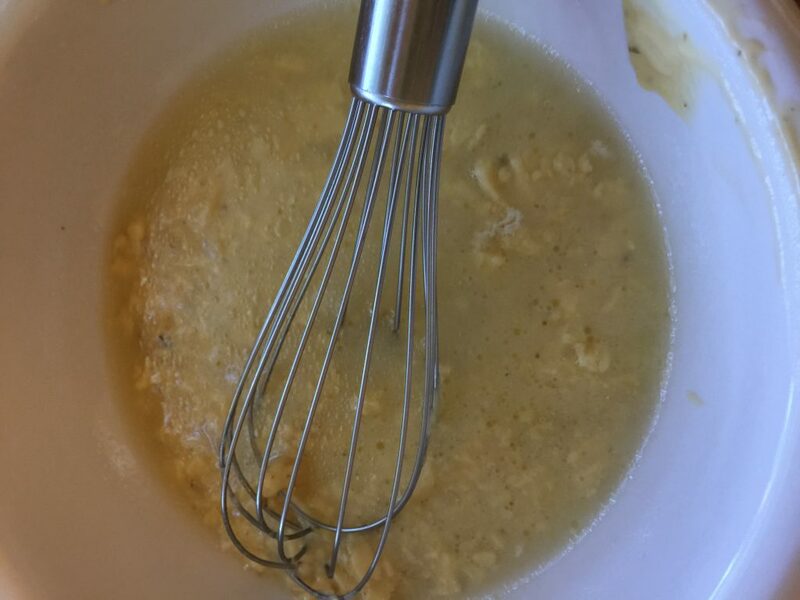 Next, pour the batter over the chicken mixture. Finally, pour the top with the melted butter. Bake for approximately one hour or until crust is golden brown and casserole is bubbly on side. I have used this recipe for many a social function as well as for new mothers and neighbors in need. It really is a great meal that is easy to cook and it is also one that everyone likes. I usually serve with rice and a vegetable. 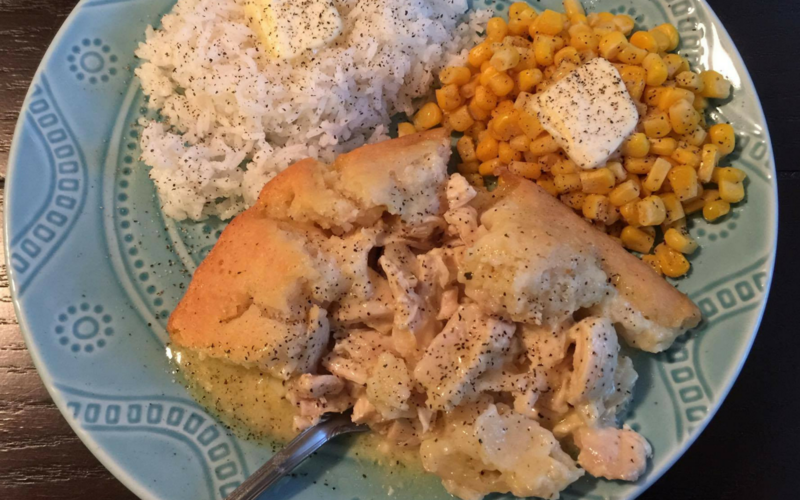 You don’t need bread because it is already on top of the casserole. The dish has a nice thick gravy inside that goes nicely over the rice. 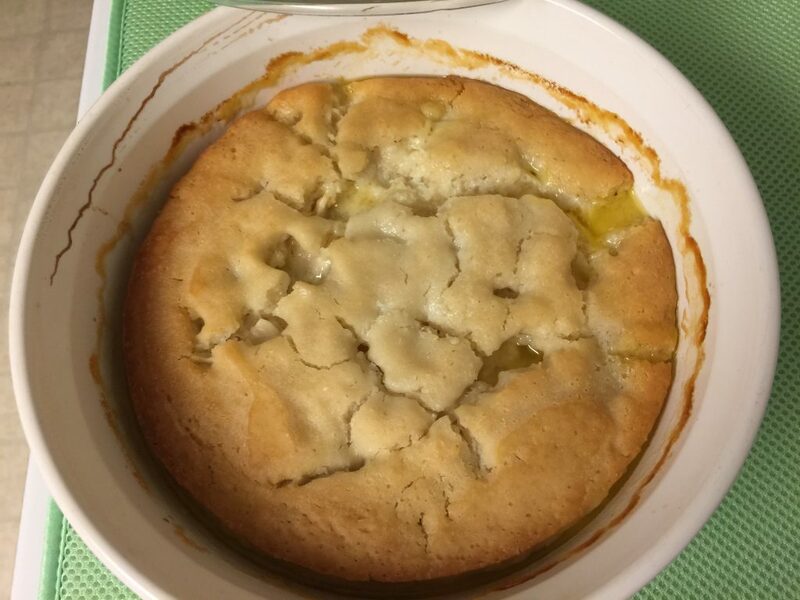 I hope you find this recipe becoming a favorite in your house!